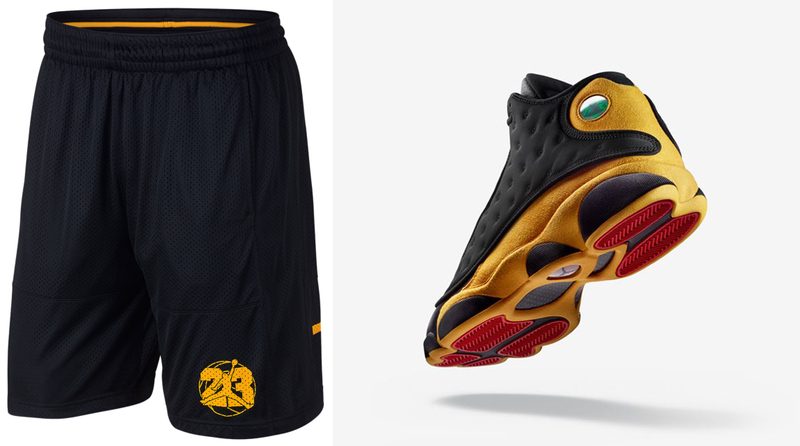 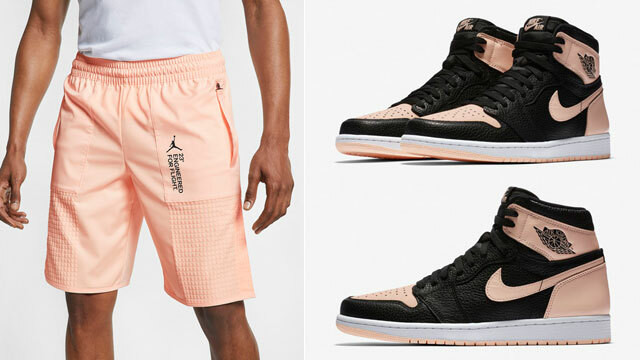 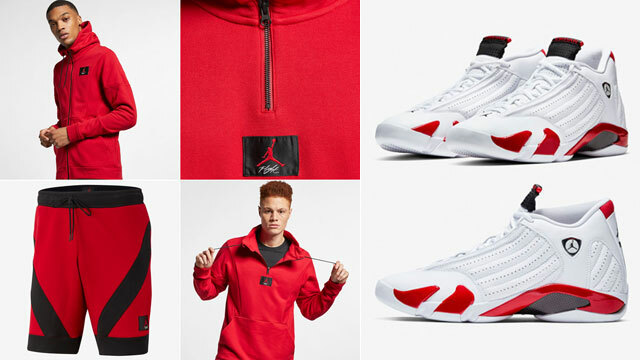 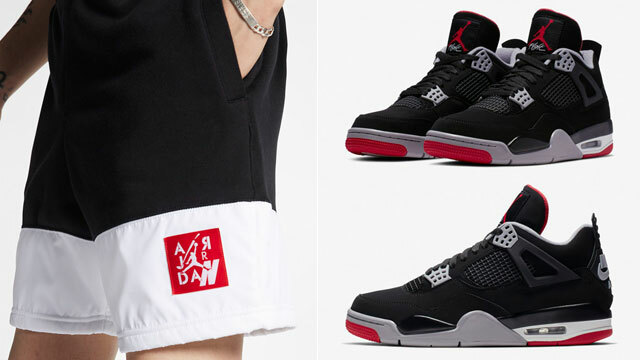 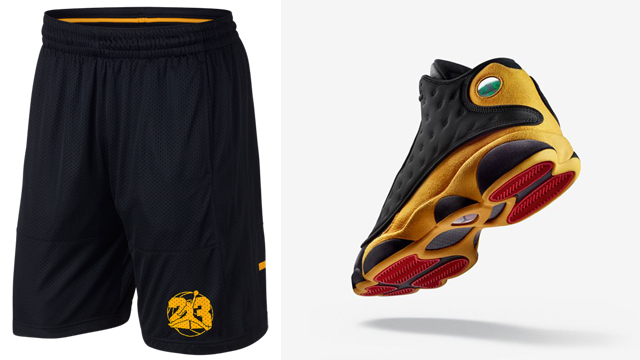 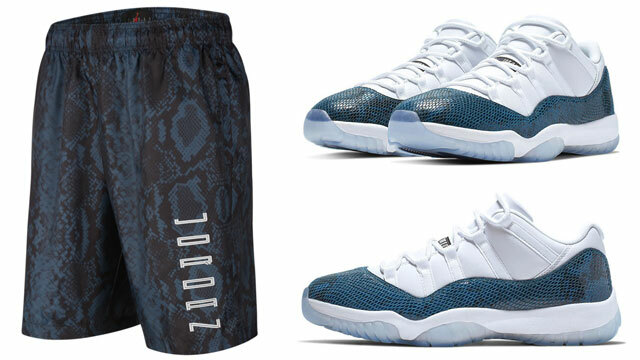 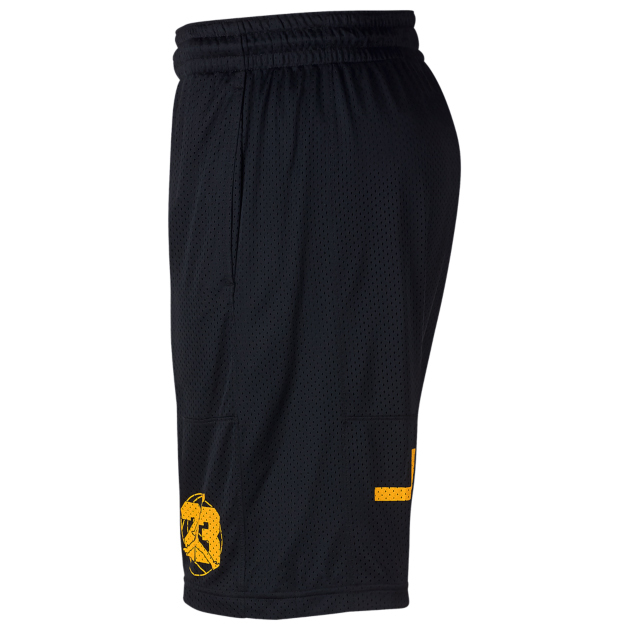 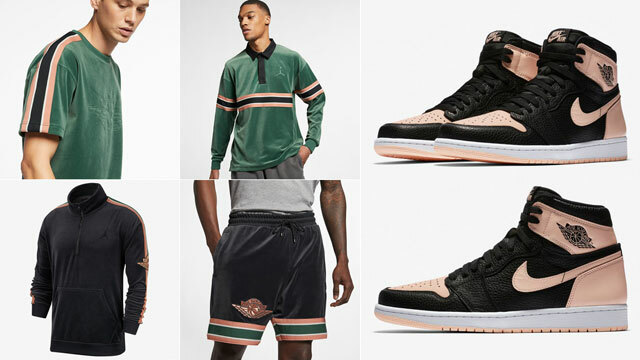 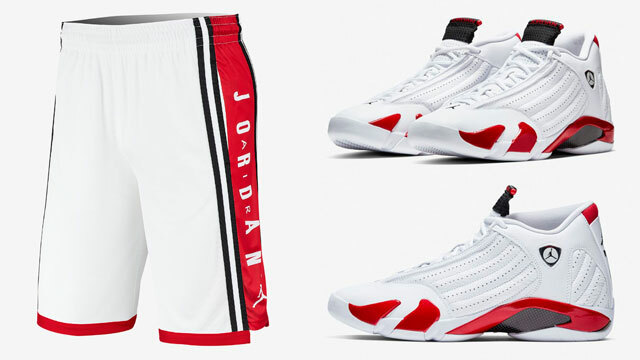 Styled to slide on with the Air Jordan 13 “Melo Class of 2002” sneakers are these Jordan Retro 13 Basketball Shorts in colors to match the shoes. 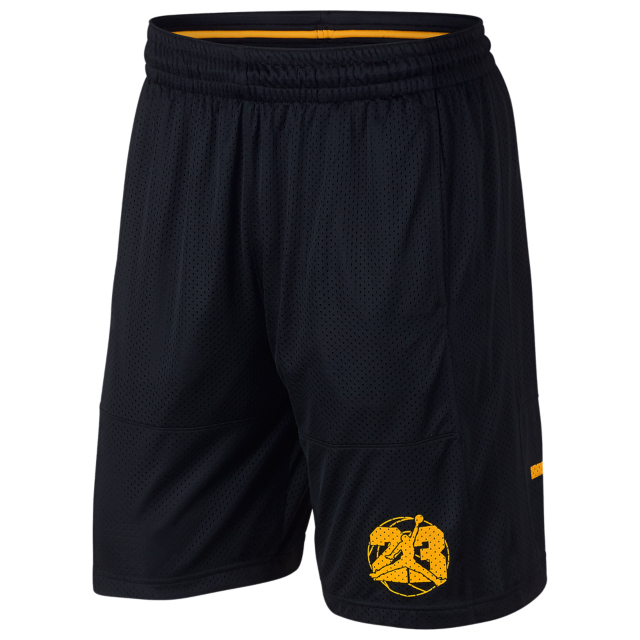 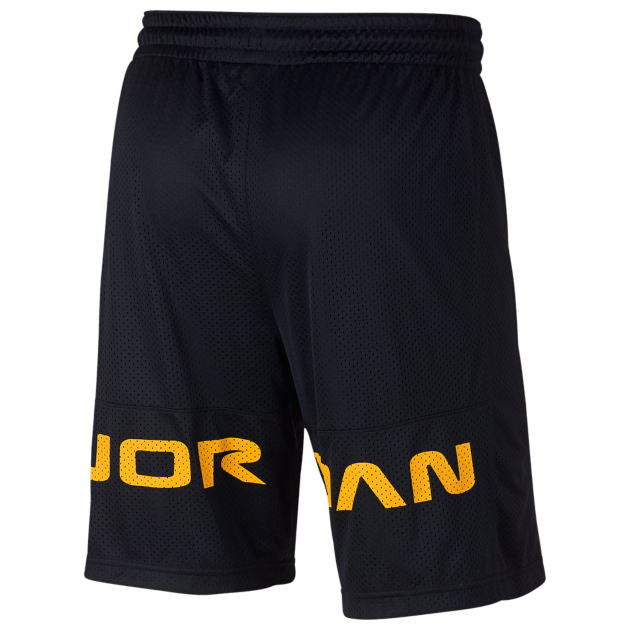 Inspired by the kicks with graphics and colors to hook, the Jordan 13 shorts mix breathable mesh fabric with Dri-FIT technology to keep you cool, dry and comfortable on the court or off. 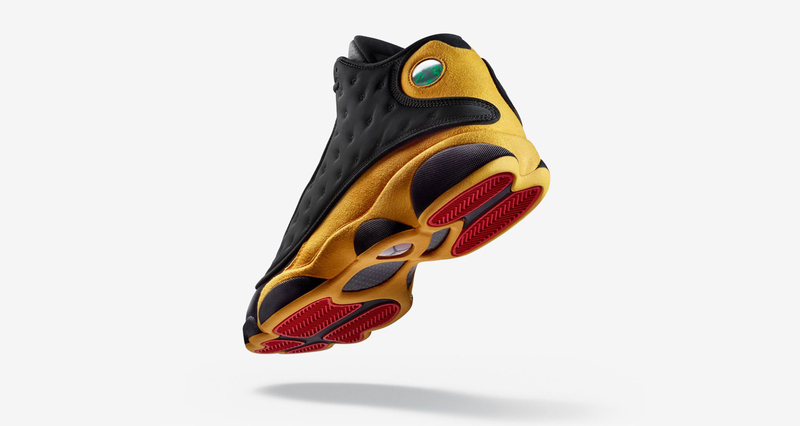 A Jumpman 23 graphic in gold on the front matches the button on the side of the shoe, with Jordan branding enlarged on the back of both legs for AJ 13 signature style. 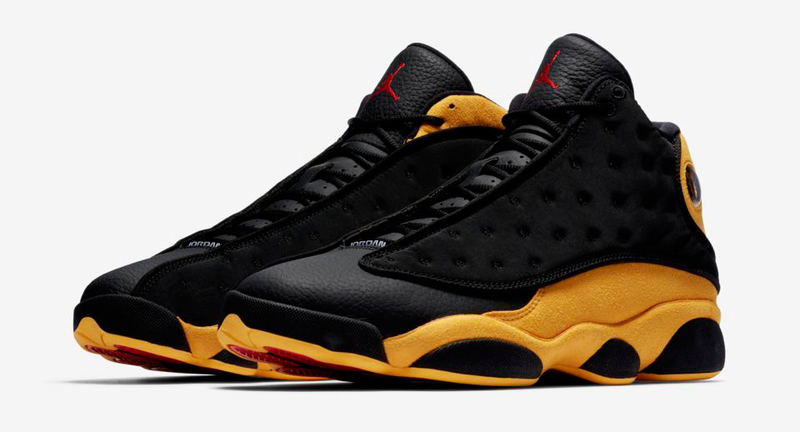 The Air Jordan 13 “Melo Class of 2002” shoes release on September 15th with the Jordan Retro 13 Basketball Shorts available at Footlocker.